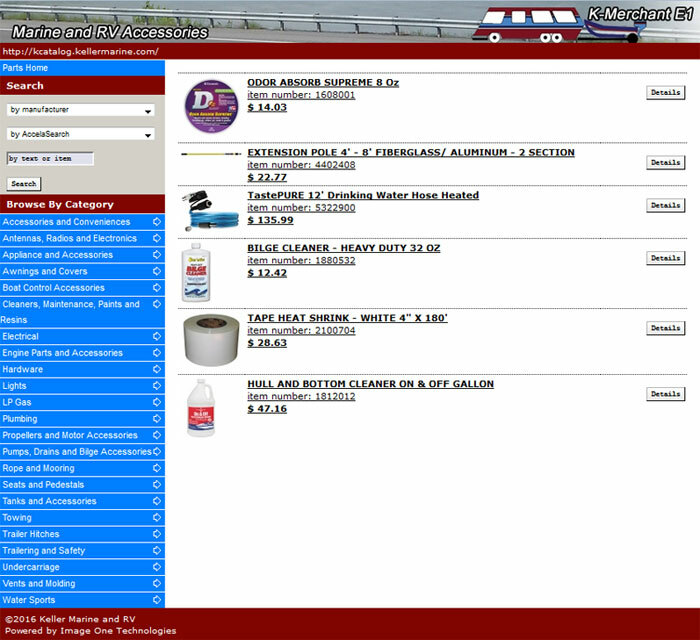 Keller offers qualifying dealers the opportunity to have an online parts and accessories store. This store allows the dealer to set the price as well as collect the proceeds from the sale of online accessories. Keller offers this online retail store in 3 configurations. You can have a Marine Store, or an RV Store, or a combination of Marine & RV. These stores add profits to your bottom line by leveraging the World Wide Web, to reach customers outside of your geographic area as well as existing customers. This program requires dealers to be an open account Keller customer and to have a brick and mortar store. The program will provide reports of your site traffic as well as record and report the customer name and email addresses from all your sales.